You can also use the alternative search command to search for files, by pressing the Ctrl+Shift+F keys. 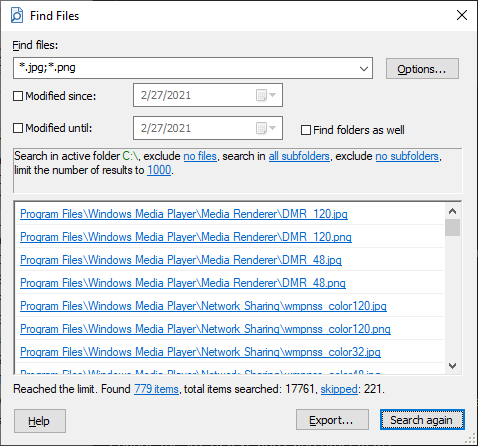 When you install AB Commander, the standard Windows Search command is set up to be used for the alternative search. However, you can designate a third-party search application for that, using the Tools page of the Options window of AB Commander.